Our commitment to our customers is our top priority. We believe that this high level of dedication is translated through our work and is a main part of what has made our company successful over the years. Our business is one the highest rated window tinting companies in Mesa on Yelp and Google. This is an accomplishment that we are extremely proud of and strive to be able to continue to achieve. When a customer feels compelled to write us a review because they are so exceedingly satisfied with our work, then we know that we have done our job right. Interested in finding out what customers have to say about their Smartfilm experience? Check out our Yelp reviews! -"It's like driving around in a fishbowl that's too close to a flame," she says to me. So, on Thursday I sent out five estimates via Yelp to various shops around the area and received five replies fairly quickly. I decided to go with SmartFilm based on location, pricing, quality, and shop reviews. I called late Thursday and asked if there was any availability for the next day, Friday, knowing I probably wasn't going to get that lucky. However, I was wrong. The guys probably could have just told me that they were booked for the day, but instead, I was asked if I could just drop the car off in the morning and they could just call me when they were able to get it done. Boom. We dropped off the car at 9am Friday and it was done before noon. The tint was immaculate. The job these guys did was outstanding and we couldn't be happier. From the first time I spoke with them, to the drop-off, to the pick-up everything was just right. The communication, the transparency of pricing and quality, and the final product were all amazing. Thanks again SmartFilm, We'll definitely be back next time we need tint. Great prices but even better product & installation. I would highly recommend this company to anyone for any tint or clear bra needs. They even offered me a lifetime warranty on parts & labor, cant beat that deal. Outstanding. Great prices, Stuart is very knowledgeable. Model 3 Tesla. Full sheet on rear window. Quick and easy. The 5 star average for this company is well warranted. I was a little skeptical seeing so many raving reviews, but that quickly faded after I arrived. The customer service was awesome and there was no pressure to be upsold (in fact, I was actually downsold based off my needs lol!). The quotes were fair and much less than than the other competitors I inquired with. Stewart (owner?) was prompt in responding to my questions and getting in a next day job done on my new STI. He was more concerned with what I would ideally need, than selling me more expensive products. I've had numerous tints and clear bras done on my cars over the years and have never seen such a perfect job. The attention to detail is amazing... Every piece is cut and shaped perfectly. The techs really know what they're doing. This is the PERFECT example of a well managed business that takes pride in the work that gets done. Smartfilm will, without a doubt, get all my future business and referrals. I had a chip in my front window, I called Smart Film and they do FREE chip repair. Great staff, clean waiting room, and great service on my FREE window chip repair. Thanks Guys!!! These people are great and fast to work with! I had my Civic covered with a clear bra day after I drove it of the lot and tinted (less than $900). Highly recommend them. Took my 2008 Toyota Tacoma in today to have my front windshield replaced as well as have old film removed and re-tinted on all my windows. 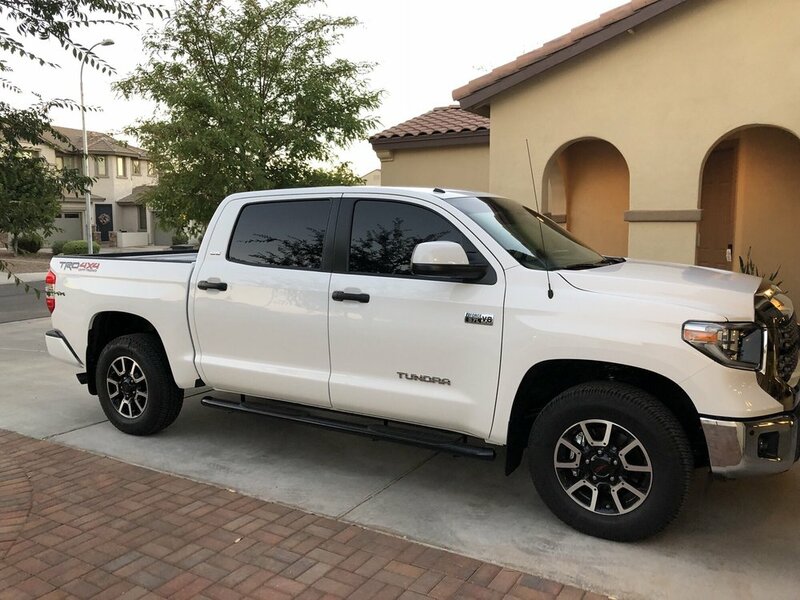 The level of service from the initial phone call to setup the windshield replacement, to picking up my truck was above and beyond what I have ever experienced with any other tint shop in the past! When I arrived the lobby was immaculate. Their display units are like none I have ever seen before. The gentleman that worked with me (Stewart) did a phenomenal job of showing me every level of tint and the difference that each one makes with the use of his displays. Gave me thorough pricing on every level and option of film while doing it in a very tactful and professional manner. I went with the Smartfilm ceramic with Llumar Air80 on the windshield. Best looking tint I have ever had and I can already feel the difference! With their professional service, excellent communication, timely and detailed work these are by far the best tinters in the business! I am a customer for life!!!! I have used Smartfilm for window tint and to replace a windshield on 2 different vehicles. I have had nothing but excellent service and they are very transparent on cost of service. Their work is top notch and the guys working at the shop are clean cut and friendly. Some other shops can leave you feeling like you need a shower and sterilize your hands. Not the case here. Even the shop is clean and nice. If you have questions they are knowledgable about the products they use and will be helpful getting you the best product for your needs and budget. They aren't the cheapest tint shop, but their work and the film they use isn't cheap either. This is truly a top quality shop that is easy to recommend to anyone. Great customer service found inside a clean looking detail shop. All product options were laid out clear and easy to see which made picking the percentage of tint a breeze. The staff was knowledgeable about product differences and described the different advantages of each. I was able to get in quickly and got a nice high quality tint on my car much needed in Arizona.